The HENERGY project undertaken within EU FP7 ERAfrica partnership contributes to the thematic field “Renewable Energies” and aim to join the best efforts of the European and African scientific communities in targeting development of the advanced (integrated with renewable energy sources) high efficiency hydrogen energy systems. The project consortium is represented by six institutions, two European (Norway, Turkey) and two African (South Africa, Egypt) countries. 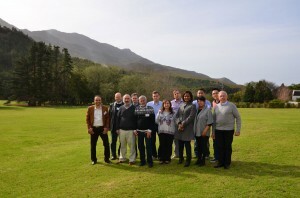 The South African project consortium member (University of the Western Cape, UWC) is represented by HySA Systems metal hydride team hosted by South African Institute for Advanced Materials Chemistry (SAIAMC).